Just recovered from the Versace for H&M mania, no time to relax, there is more to come. To get started, here is a sneak preview of the next designer collaboration with the Swedish fashion house: MARNI FOR H&M. 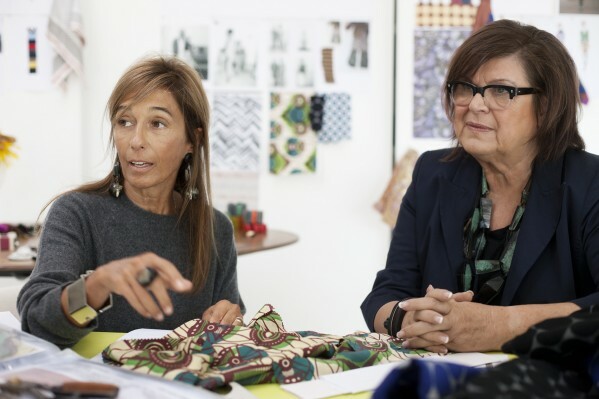 Famed for its original prints and inventive spirit, Marni is one of fashion’s most-loved labels, and its Founder and Creative Director Consuelo Castiglioni has created for H&M a spring collection for both women and men which capture its essence perfectly. Available from March 8, 2012 in around 260 stores worldwide and online, the collection features both clothing and accessories all at H&M’s prices, meaning everyone will have the chance to enter Marni’s world. “I wanted to create a true Marni wardrobe by revisiting all our favorite pieces in signature fabrics and prints. As always, I love juxtaposing prints and colours, mixing modern tribal with Bauhaus graphic adding sporty utilitarian elements”. “We all love the collection here at H&M and we believe that our customers will do the same. Marni has such a modern touch with everything they do, mixing prints and accessories in a playful but chic way. It’s fantastic to see how Consuelo Castiglioni coordinates her designs, matching new combinations of print and colour, with such incredible craftsmanship behind every piece. The collection will arrive in stores at just the perfect time, as a lovely statement for spring“. Marni is a label that sticks to its own path, setting its own trends for print, cut and silhouette that are always playful and elegant. Marni has remained a family owned-business as it has grown to become an international luxury brand with stores around the world. Marni’s collection for H&M has all the freedom and experimentation for which the label is renowned, with all-over prints in strong colours all intended to be worn together in layers that both match and clash. For women, the colours are vivid and the prints are bold, be they African inspired or simpler colour blocks. The silhouettes are all Marni staples, with full pleated skirts, dresses, cropped trousers and jacquard knit, and fabrics range from silk to crisp cotton poplin. To finish the complete look the collection also includes jewellery, shoes, bags and scarves. For men, the colours and fabrics are softened for a relaxed take on menswear staples that is truly Marni. The use of print is subtle, often as a lining or as a contrast detail for shirts, the silhouette a modern and relaxed take on masculine classics. Bored of queuing? Here is your fashionable surprise! There will be also a Versace for H&M S/S 2012 collection, exclusively available in countries with H&M online sales from January 19, 2012. 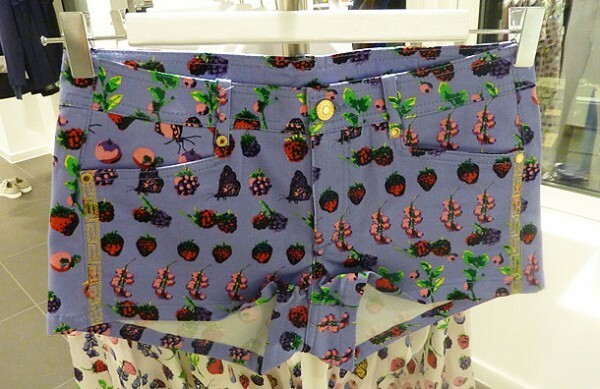 The colourful capsule line will feature fruit prints and lots of Versace glamour. Unfortunately, bad news for Switzerland and the United States. Where are our European friends when we need them? !